So what does it take to get voice-activated local search tools like Siri and Android’s Voice actions to like your local business? We all know the importance that Google’s search engine plays in the traditional online and mobile search experience, and it’s not different with voice-activated local search. Maintain accurate Google Places pages for each local business location – including the right business name, address, phone number and website. Incorporate highly descriptive keywords in the listing’s category’s section – ones that current and potential customers will most likely use when searching for the local business. For example, a business that sells women’s shoes can supplement their listing with “high heels,” “tennis shoes” and “flats” to better differentiate their offering. Take advantage of the business description field to provide highly-optimized keywords that clearly depict what the business does in ways that those looking for the business will search for it. While a spiced up Google Places page won’t have an impact on how Siri users find and evaluate a local business location (more on that later), it will play a strong role in the Voice Actions experience. When Voice Actions users conduct a local business search – for example, asking for the “best Japanese restaurants” – businesses that match those keywords within the user’s area appear in order of the quality and quantity of ratings and reviews received on their Google Places page. Although Google Places once incorporated reviews from a variety of sites including TripAdvisor and Yelp, the offering now only includes unique reviews and ratings left by users directly on Google Places pages. As a result, it’s important that each local business location build as large of a collection of positive reviews as possible in order to appear among the top of voice-activated search results. To do this, the local business should look for ways to encourage customers to share details of their great experiences with the business on a consistent basis. This effort can spiral into having an even greater impact, since Google Places provides personalized results that promote recommendations by users’ friends. Google Places on mobile devices is very similar to the online experience in that it features multimedia content like photos as well, so it’s important to add visually appealing content to a local business page to make it as attractive as possible to potential customers. Most local business searches conducted via Siri are done so through Yelp, the popular local reviews site. Similar to the Voice Actions experience, results for local business searches on Siri are ranked by the quality and quantity of reviews provided on the local business’ Yelp page. Therefore, local businesses should embark on a similar effort to create and maintain highly descriptive Yelp profiles and attract as many positive customer reviews to their Yelp pages as possible. In doing so, local businesses can also take advantage of a variety of free Yelp tools that help connect them with customers. 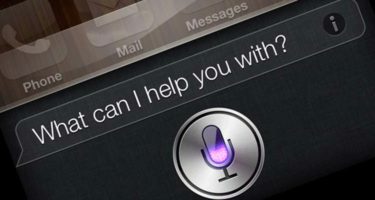 Once a user selects a local business via Siri’s listing, they are taken to a simple Google Map listing with the address and phone number to visit or contact the business directly. While photos, deals and other Yelp features don’t yet play a role in the Siri experience, it’s safe to say they likely will be in the future. Additionally, I think we can expect that other popular review sites like OpenTable and TripAdvisor will be added to Siri search in due time – so building a strong depository of positive reviews on these sites will be increasingly essential moving forward.